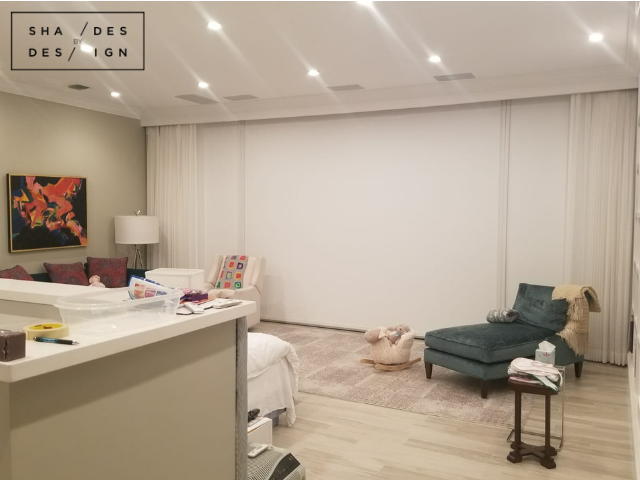 we installed blackout shaded motorized by Somfy motors. 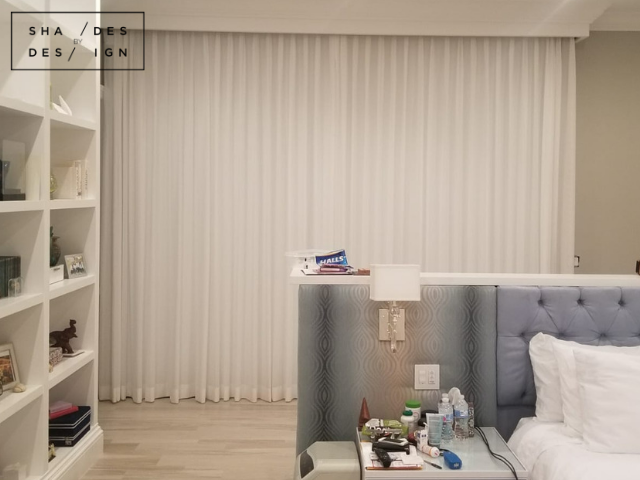 To prevent light leakage (exterior light seeping in through gaps between the shades), we installed side channels. 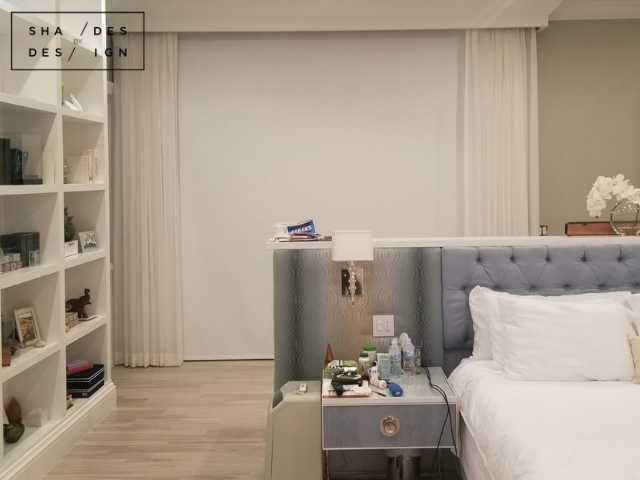 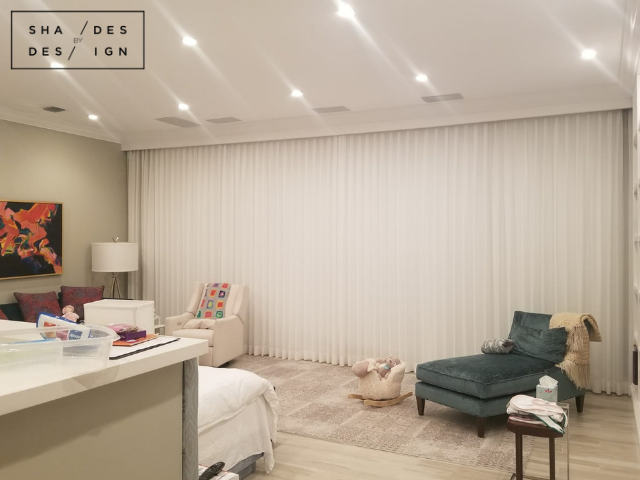 The shades were then pair with recessed ripple fold sheer drapery which added a hint of elegance, and it great for privacy during the day when the blackout shades are open.